What doesn’t need water, can freeze solid and come back to life, survives intense radiation, and stays alive in the vacuum of space? Although the answer isn’t a cinematic horror, it certainly looks the part. The humble tardigrade (also known as a moss piglet or water bear) is a small-scale animal that rarely grows larger than half a millimeter in length. It is quite possibly the toughest member of the animal kingdom. These water dwelling, eight-legged animals have been found everywhere: from mountain tops to the deep sea and mud volcanoes; from tropical rain forests to the Antarctic. The extreme resiliency of these animals to a wide array of hostile environments, often in combination with one another, has kept them at the center of extremophile research for the last century. Through unique mechanisms and adaptations to stay alive when all normal methods fail, the tardigrade is continually redefining what is possible for multicellular life. For a typical animal, a lack of water means a lack of life. While a typical animal must either remain hydrated or die, tardigrades have developed numerous strategies to survive even total dehydration. As early as 1922, major conformational changes in dehydrated tardigrades were observed. When water becomes scarce, the already compact tardigrade forms a structure called a tun, contracting its body and going into a state of dormancy. While in the tun state, the animals don’t have functional legs or claws but otherwise appear largely unchanged . 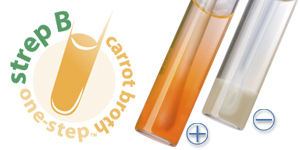 This compact body shape reduces surface area, thereby reducing the rate of evaporation. Concurrently, the tardigrade’s cuticle becomes much less permeable, retaining more water in the tardigrade’s core . 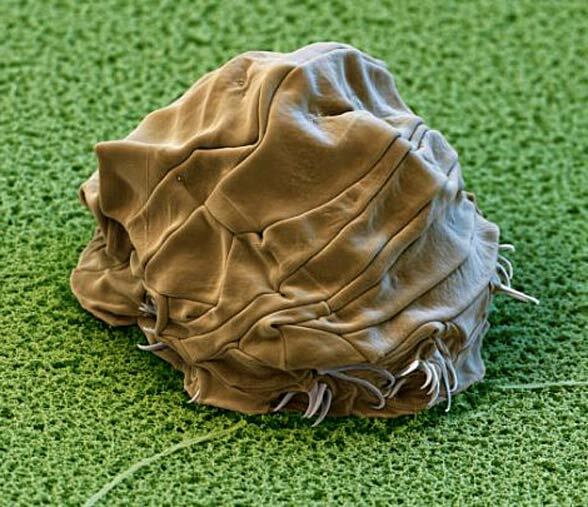 the photo below show a tardigrade dehydrated down to only 3% of its original water volume! In 2011, a team of Italian researchers found that the dormancy state of the tardigrade can go even further in response to cyclic changes. In the cyclomorphosis process, the animals encase themselves inside of a series of cysts named for their resemblance to ancient Egyptian burials. The outermost cuticle of the animal remains, but inside, the tardigrade is protected by two new layers, named the “sarcophagus” and “mummy” cuticles, respectively . The exterior adaptations to dehydration don’t tell the entire story. For the tardigrade to return to life once water is available again requires protective measures for the proteins and organs of the body. In the absence of water, these structures would normally denature and collapse, killing the creature. One suggested preservation mechanism centers around replacing water with the sugar trehalose. In this process, trehalose would be substituted into proteins to form the same hydrogen bonds normally formed by water molecules, allowing the proteins to maintain their structure even in a state of dehydration . Evidence in favor of this mechanism includes the direct observation of trehalose accumulation preceding the ahydrobiotic stage in at least six species of tardigrade . 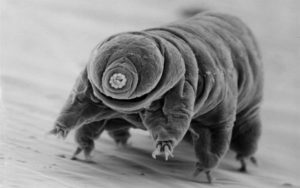 Tardigrade radiation resilience isn’t perfect, but the small creatures do much better than humans or other large animals do when exposed to powerful amounts. Combination experiments that exposed both hydrated and dehydrated animals to gamma radiation and heavy ion bombardment showed mean lethal radiation doses in the thousands of Grays, with hydrated animals actually showing high mean dose tolerance. For humans, a lethal dose of radiation could be as little as 5-10 Grays. It’s hard to imagine why such an animal would develop such staggering ionizing radiation resistance, but the same capability may come to humans in the near future. The same experimental group has shown that expression of a damage-suppressing protein from the tardigrade species Ramazzotius varieornatus can be successfully introduced into human culture cells. Once expressed, the protein acts to limit DNA damage, and the modified human cells experience 40% less radiation damage than their unmodified counterparts . Transfer of this radiation resistance has strong possible implications in fields such as long-term spaceflight, where constant exposure to high-energy cosmic rays provides a long-term risk. For an animal with such a broad array of resistances, the tardigrades lead a relatively sedate life. Their name comes from a Latin term meaning “slow-stepper” and it’s difficult to see why they need to be so well prepared for such extreme disasters. Fortunately, this class of animals can serve as a model organism for us to study the limits of animal endurance. This entry was posted in Micro Musings and tagged extremophile, moss piglet, Tardigrade, Water Bear. Bookmark the permalink.